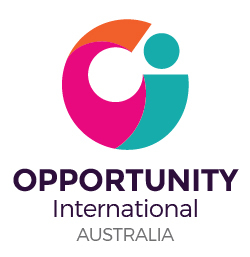 Opportunity International Australia began over 40 years ago when Australian entrepreneur David Bussau recognised that one of the main causes of poverty in Indonesia was lack of access to credit. The farmers would borrow money from loan sharks or land owners with no hope of paying it back, getting into a spiral of debt not only for themselves but their whole family. In many cases their children would need to work to support the loan, forcing them to leave school at 10 or 12 and not complete their education. David loaned $50 to a poor farmer named Ketut in Indonesia who used this to buy a sewing machine and start a tailoring business, earning a regular income and helping his family leave poverty behind. Ketut paid the loan back within 6 months and took another loan to expand and put on his first employee. He went on to run an import/export business and own a fleet of taxis, providing employment for other people in his community, too. Now part of a global network, Opportunity is today a leading provider and pioneer of socially-focused microfinance, helping to provide a hand up to millions of people around the world. Opportunity International Australia gives families living in poverty the tools they need to transform their lives, their children’s futures and their communities. Together with TechnologyOne Foundation, microfinance has a much bigger impact than just on a family – the ripple effect of a loan can help transform whole communities. 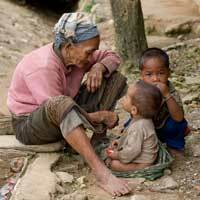 Microfinance is all about providing people living in poverty with a hand up. It is a sustainable solution to the problem of poverty. The funds received by Opportunity are leveraged by their microfinance partners, by providing them with an indication of financial strength and security, and enabling them to borrow more money from commercial providers. With a small loan to start their own business, families can begin to leave poverty behind. The loans are then recycled as they are repaid, ensuring the investment is continually at work. Businesses may take more loans to grow until they become self-sustaining, creating even more benefits to the community. TechnologyOne can break the poverty cycle for generations by providing a hand up to families living in poverty in India. Small loans empower mothers to build successful small businesses, helping families earn regular incomes to give their children a brighter future. With the earnings from their small business, parents invest in nutritious food, proper shelter, medicine and an education for their children. With a small loan to start a small shop or purchase seeds to plant a vegetable farm, families are able to transform their lives and their children’s futures. 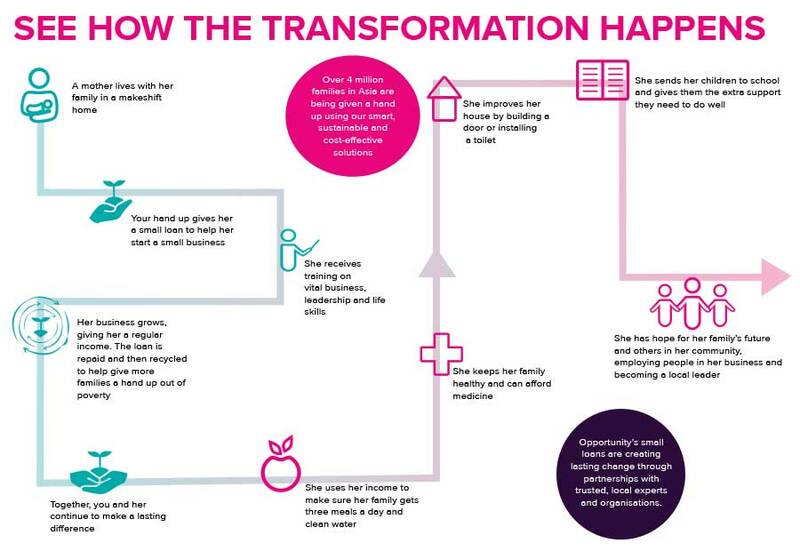 Since 98% of small loans are recycled, the impact creates a ripple effect within their family and community. The TechnologyOne Foundation is looking to break the cycle of poverty for generations by supporting an innovative micro-financing approach to charitable giving. The TechnologyOne partnership with Opportunity will provide small loans to enable families in India to grow businesses, earn regular incomes and create safety nets for the future. Since 98% of these small loans are repaid and then re-lent to other families, the impact creates a ripple effect within communities. As small businesses grow, some go on to employ others in order to keep up with demand. As these jobs are created, other local families are given an opportunity to leave poverty behind too – delivering goods door-to-door or helping with sewing or weaving orders. 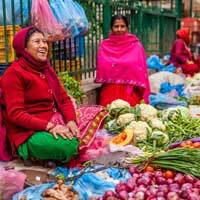 With an increased income and therefore more money to spend on items such as food and transport, families who used to live in poverty become active participants in their local economies, benefiting the providers of those products and services, who, positively, are often microentrepreneurs themselves. 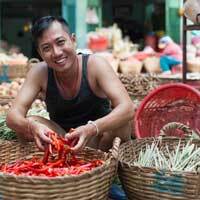 By boosting local economies, microfinance benefits developing communities beyond the aid of a one-time hand-out. With the new sense of dignity and respect that comes from having their own business, microentrepreneurs are also able to use their influence to bring about positive changes in their communities – rallying local government for improvements to infrastructure or education and bringing local families together to take on community projects. The TechnologyOne Foundation is committed to donating 1% of annual profit to support our vision of changing the future by empowering underprivileged and at risk youth to transform their lives. Copyright © 2019 Technology One Limited. All rights reserved.